Order LCD Monitor Repair Made Easy™ Now! You are about to get instant access to this best selling product even if it’s 3 in the morning. LCD Monitor Repair Made Easy™ will show you exactly how to repair LCD monitors at home: with the help of step-by-step guides and videos. It also comes with a 60 Day, 100% Money Back Guarantee – because I am sure that you will not regret your decision. To get started, simply Click Here! for the limited time discounted price. LCD Monitor Repair Made Easy™ is in digital format (PDF & Video) which means there is no need to wait for it to arrive. You’ll be get started in just minutes from now. 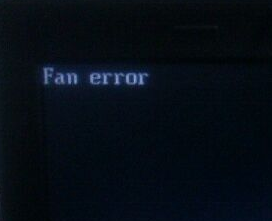 Lenovo fan error is very common with Lenovo T60, T61, T400, and T410. The Fan error is cause due to the fan got stuck and unable to spin causing system to produce the fan error and fail to boot. How to fix when the Fan not spinning and giving fan error. Blow the fan with compressed air to see if you can free the fan. Fan might be out of place from dropping. Snap it back by pressing down on the fan. 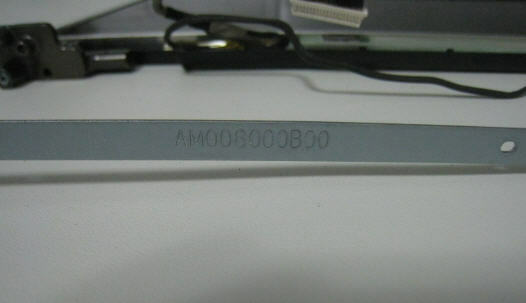 The Lenovo fan error applies to Lenovo, T60, T61, T400, T410, and many other models. Laptop Repair – How to Repair Laptop. Laptop Repair Guide. Learn how to repair Laptop computers. How to replace laptop LCD screen, Laptop Keyboard, and all other major comonents inside a laptop. Here you will find guides for DIY Laptop Repair. Laptop repair is not as complicated as it seems. If you are new to fixing laptop computer, our guides provide you with step by step instructions on how to troubleshoot and replace: Laptop LCD Screen, Laptop keybared, Hard drive, DVD drive, Laptop motherboard, DC jacks, and all other parts of a laptop. With these guides on your side you should no longer be afraid to repair your own laptop computer. For the next level laptop reapir we have guides on how to troubleshoot common issues on a component level. Lenovo T410 LCD screen issue. 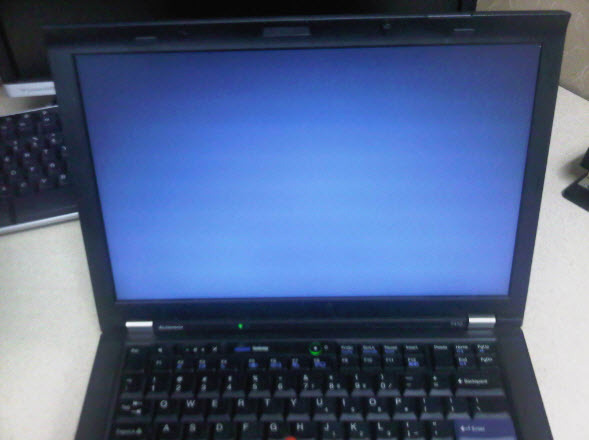 Blank screen with backlight on. Laptop powers on just fine but nothing shows up on the LCD screen. Backlight is on as you can see in the picture. Connected the laptop with an external monitor and that works fine. Able to see image on external monitor. Replaced Laptop LCD screen with new LCD screen and issue is now resolved. How to fix a broken LCD inverter. Warning! Working on laptop LCD inverters could be very dangerous. Make sure you disconnect the power source before doing anything to it. Don’t alway have to replace the LCD inverter when you have a mulfunction LCD inverter. There’s something you can try first before replacing it. A lot of the time the laptop LCD inverter stop working it’s because of cold solder joint. All you have to do is reflow the joints with a soldering iron. It takes less than 5mins to perform. If still desn’t work then replace the laptop LCD inverter. All you need is reflow the leads on the transformer. Make sure you disconnect it from the LCD screen first before you start fixing it. You can use this guide to replace a laptop LCD panel, LCD cable or LCD inverter. Remove six screws under the rubber bumpers. Top 10 most common laptop problems. 1. Laptop won’t power on at all. 2. 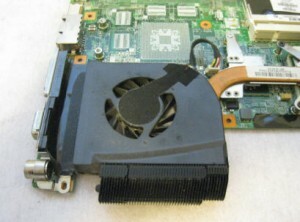 Laptop runs hot, fan runs on high speed. 3. Laptop freezes and shuts down after running for a few minutes. 4. Laptop powers on but screen is blank. 5. Laptop LCD screen cracked. 6. Laptop LCD hinges are loose. 7. Laptop shorting out power AC adapter. 8. Laptop hard drive gone bad. 9. Laptop memory module gone bad. 10. Laptop memory slot gone bad(bad connection). Laptop keyboard issue: Some of the keys on keyboard no longer work. Keys popping out of the keyboard. keybaord is typing out wrong character. Liquid spill, water, soda, or coffee. Laptop won’t run on battery only. Battery won’t hold a charge. Mouse cursor drifting to the side on its own. How to recover data form laptop hard drive. Your old laptop stopped working. You’ve just bought a replacement laptop and now you are wondering how to get your valuable pictures and personal data transferred from the old hard drive to the new laptop. 1. Get a USB external hard drive case. IDE or SATA based on the type of drive you have. Cost between $5-$10. 2. Remove the drive from the old laptop. 3. Install the have drive into external drive case. 4. Connect the USB drive to the new laptop. 5. In Windows the AutoPlay box will pop up on the screen with options on how you want to access the files on the drive. 6. Select Open folder to view files. 7. For Windows XP, locate the Doucuments and Settings folder. Now open the folder that matches your user name on your old laptop. You’ll find the My Documents, My Pictures, My Music, Desktop, and Favorites folders plus many more. The ones mentioned here are the most important. 8. For Windows Vista and Windows 7, Locate the Users folder. Now open the folder that matches your user name on your old laptop. You’ll find the My Documents, My Pictures, My Music, Desktop, and Favorites folders plus many more. The ones mentioned here are the most important. 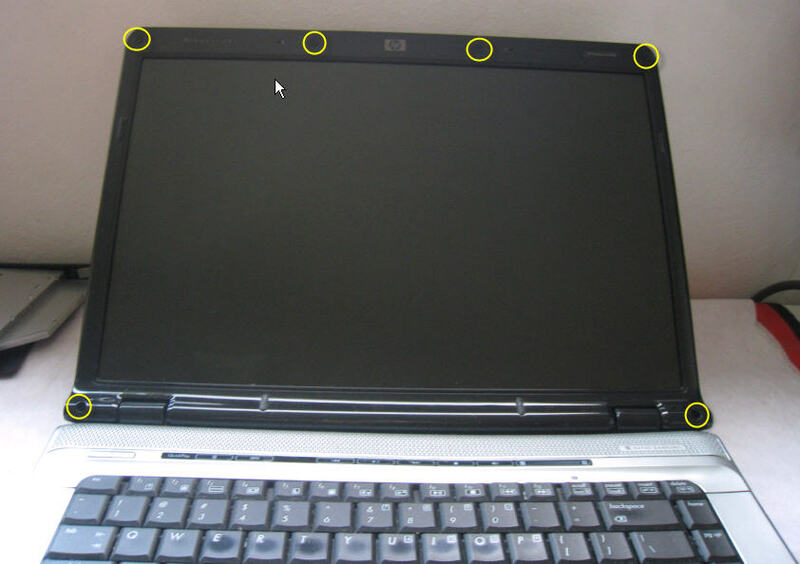 How to replace LCD hinges on a laptop. Note: when looking for replacement LCD hinges make sure you match the part number. Even the model matches the hinges might not fit. You can usuall find the part number on the hinge itself.